Winter, Summer, Moto Sport and Ski Service are the four lines in which Liski operates. It is an Italian company based in Brembate (Bergamo), leader since the late 70’s in the supply of sports equipment. Plastic materials, and not only, focusing on safety, at the service of sportsmen. This is the challenge that is repeated year after year and that has allowed Liski to be at the forefront of the biggest world events of skiing, biathlon, snowboarding, freestyle, Nordic skiing, football and motorcycles. At the Ispo Fair in Munich, attention was once again focused on the brand new slalom pole used in alpine skiing. The Jet system, conceived and patented by Liski, was a real revolution in the world of national teams and ski clubs. The many hours spent on the skiroom benches, to replace the broken shafts with the new one, are now only a memory. Now those precious minutes can be used to train and repeat the technical gesture because the shaft can be changed in a few moments directly on the track, without even remove the hinge off the snow. All thanks to light pressure and rotation; the screw bases, today, are no longer used. Liski has made centre: the Jet poles, combined with the Arrow+ base, are really required by athletes and technicians of all levels. The clubs, the regional committees and the various Federations with which Liski has signed partnership agreements: Italy, Austria, Croatia, Sweden, Spain, China and Russia, in addition to the champion Marcel Hirscher, undisputed leader of the World Cup. Also new are the slalom poles that are presented with a different red colour, making them more visible during training and competitions. Furthermore, aluminium drill bits which are more resistant and efficient than plastic ones: they are also light, but they change the way you work on ice. Still on the subject of winter sports, in the last year much has been done in terms of safety. 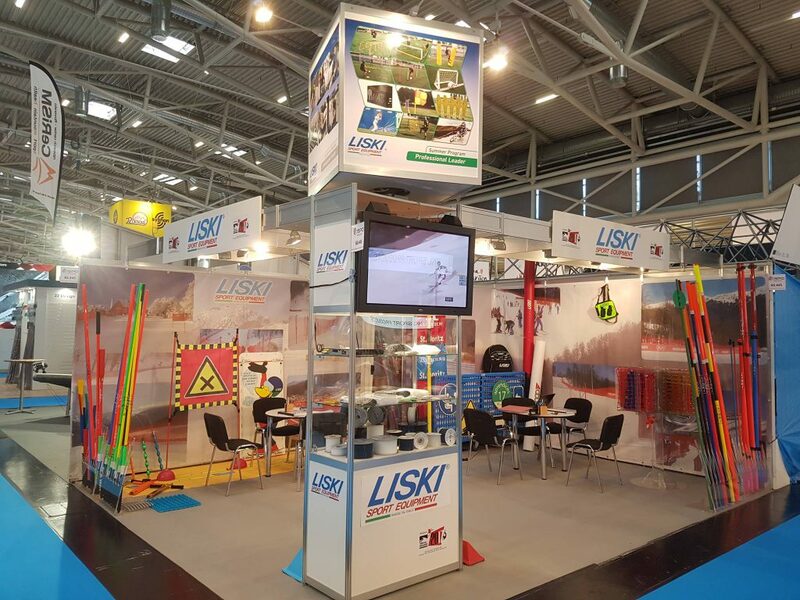 Liski in collaboration with the manufacturer Alpina, started the distribution of cutting resistant sliding nets, a novelty to counter increasingly skilled skis and increasingly sharp edges. A step forward thanks to a structure with innovative principles, especially in the case of direct impact at full speed. But Liski is not just snow. The Italian company is also present in the football fields with a Summer line consisting of all the necessary equipment to prepare and play official matches. The organisers of the World Championships in Russia in 2018 chose Liski for its professionalism. And then again in the MotoGP with the securing of the circuits of Barcelona, Valencia, Sepang and Phillip Island. As a new season is starting, there’s an important entry right now. Waiting to get back on the football fields and along the circuits of the world championship, Liski continues to supply the big winter sports events, such as the Alpine skiing World Cup in Åre. An agreement was also signed for the supply of the Alpine Junior World Championships in Val di Fassa, the 2019 Universiade and the IPC World Championships which took place between Kranjska Gora and Sella Nevea. Lastly, the important supply contract with the Cortina 2021 Foundation for the World Cup which took place at the end of January, the Italian Championships in March, the World Cup Finals in 2020 and the World Cups in 2021.